The video by White House appeared to show Jim Acosta chop down the intern's hand. 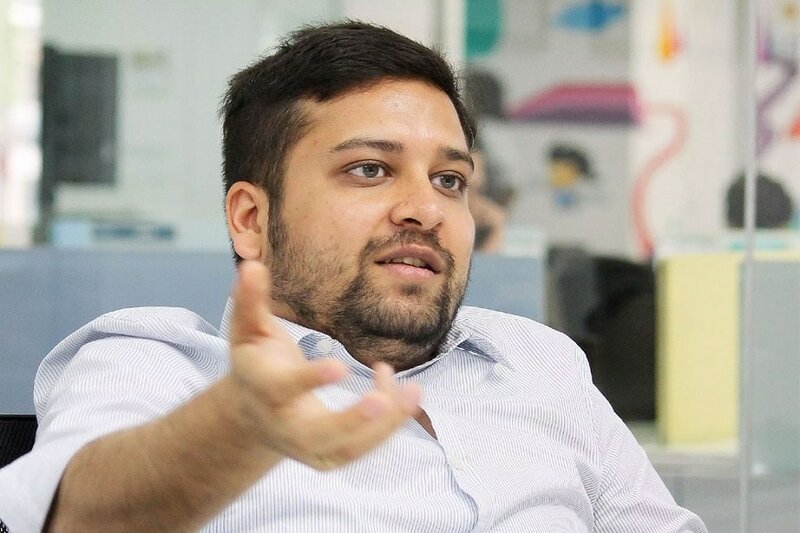 The investigation into Flipkart Group CEO Binny Bansal that led to his resignation on Tuesday stemmed from an allegation of sexual assault that dates back a few years, sources told CNBC-TV18. "In late July ... an allegation came to us. It was a claim of sexual assault against Binny," the source said. However, said he “strongly denied” all allegation of serious personal misconduct made against him. In a letter to employees, Bansal said, “My plan was to continue in my current role for a few more quarters to continue transition after closing the deal with Walmart.” Earlier, Flipkart had said Bansal has resigned from the company following an investigation into an allegation of “serious personal misconduct.” More on it, here. 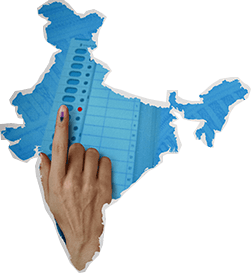 Two women born in Pakistan occupied Kashmir (PoK), who came to Kashmir after marrying former militants, have won Panchayat elections in north Kashmir’s Kupwara district. The victory of Dilshada Begum and Arifa Begum, both in their mid-thirties, is extraordinary and surprising in the restive Kashmir where militant threat looms large and which witnessed a very low voter turnout in the recent civic elections. 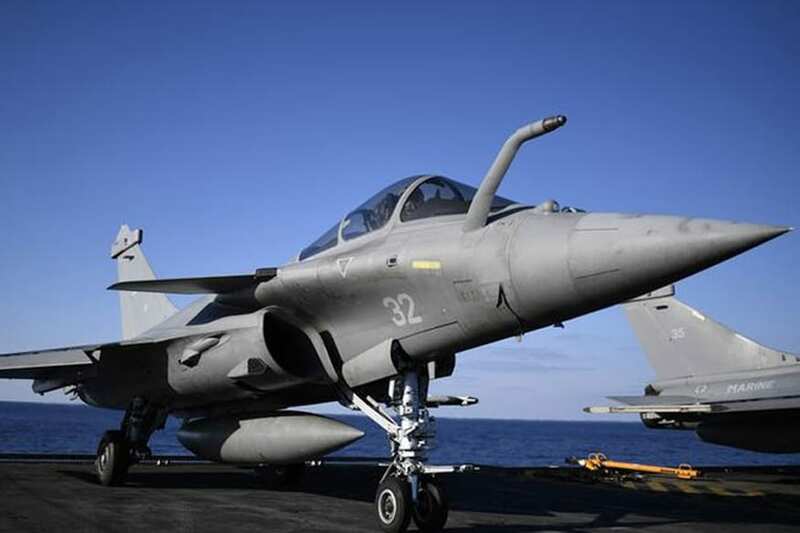 Sixty retired bureaucrats have written to the CAG expressing concern over audit reports on demonetisation and the Rafale deal being "deliberately" delayed to not "embarrass" the NDA government till next year's general elections. In a letter, they said there was concern over "unconscionable" and "unwarranted delay" in bringing out the audit reports on demonetisation and the Rafale fighter jet deal, and the reports should be tabled before Parliament in the Winter Session. CNN filed a lawsuit against the Trump administration over the revocation of press credentials for White House correspondent Jim Acosta, whose questions and reporting have been a frequent target of criticism by President Donald Trump. The Supreme Court refused to stay its verdict allowing entry of women of all age groups into the Sabarimala temple but agreed to hear in open court on January 22 a batch of review petitions in the matter. Who would have imagined that a 17-year-old boy, who was once ashamed of adopting comic-writing as a profession, would go on to be the flag bearer of the pop culture community across the globe? Way back in the 60's when the term 'geek' was not-so-cool, Stan Lee sowed the seeds of a global geek culture that eventually became mainstream. It's not that superheroes didn't exist before him. Characters like Superman, Batman and Wonder Woman had already made it to the shelves, but Lee took the books beyond the cabinet. 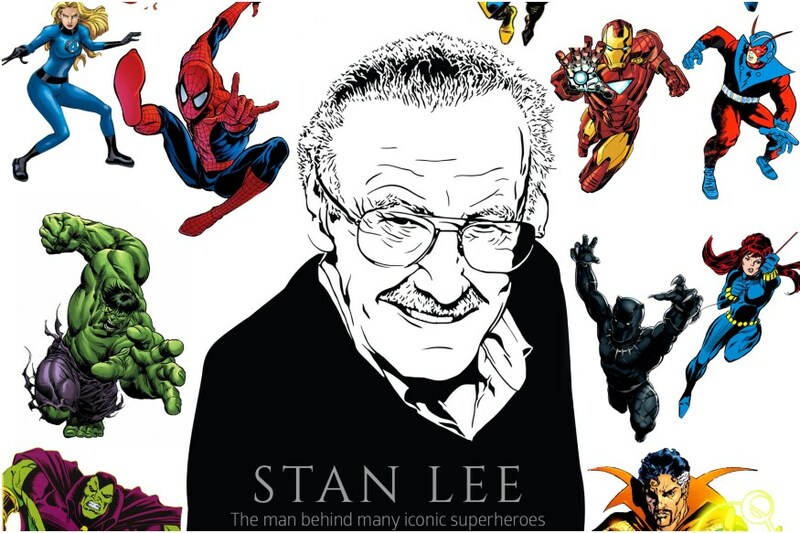 The genius co-creator of the glittering Marvel Universe that today spans scores of films, television series, comic books and merchandise and is one of the meanest money-making machines around, has passed away. 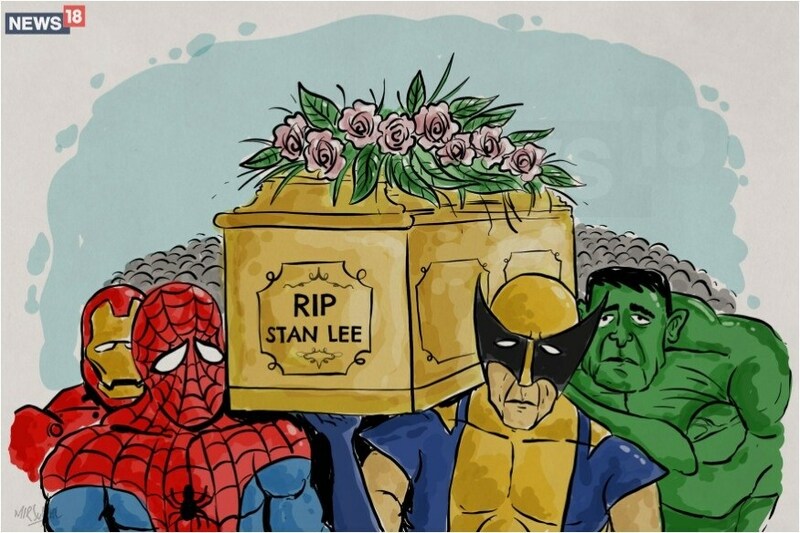 Stan Lee has left a world full of comic book enthusiasts at a loss of words. We have tried to bring together some of Lee's friends and creations to find out what they if they could, would be saying on this day. Some Indians who were trying to Google 'Stan Lee' ended up reading about a giraffe in California. This is how. 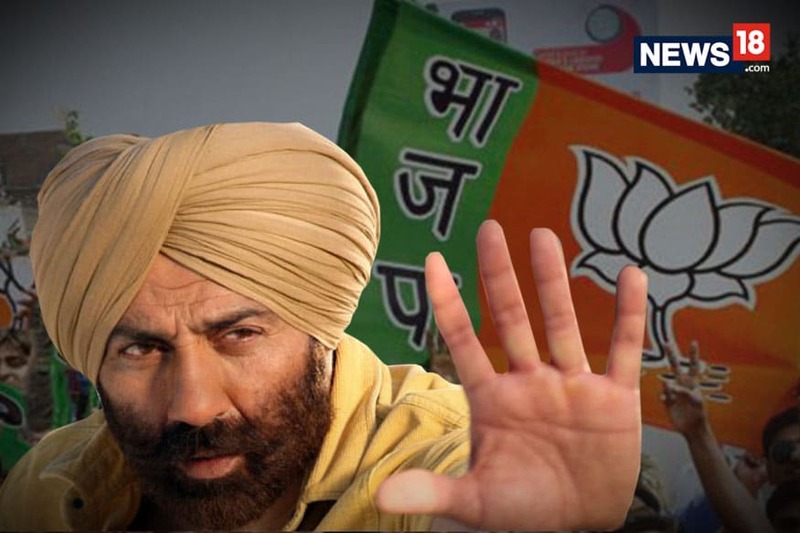 Maharashtra Navnirman Sena chief Raj Thackeray’s overtures to the north Indian community in Mumbai has sparked speculations of MNS probing possibility of a pre-poll tie up with Sharad Pawar led Nationalist Congress Party in the state. Raj, the estranged cousin of Shiv Sena chief Uddhav Thackeray, has been marginalized in the state politics with MNS seat and vote share plummeting in both Assembly and local body elections. Now, MNS has mellowed down its stand against north Indians with Thackeray accepting an invite by the Uttar Bharatiya Mahapanchayat to address their gathering in Mumbai's Kandivali on December 2. Is Thackeray desperate to make a comeback in Maharashtra's politics? The degree of civil-military divergence in India is high. This is evident in recent issues like the implementation of the ‘One Rank One Pension’, the initial refusal of the military to accept the award of the 7th Pay Commission and the unseemly spat over the status equivalence with civilian officers in the Ministry of Defence. There are differences between the military and political leadership over the size of the budget required for modernization of the military. There is also a view, though not openly expressed, that the traditional Indian military ethic is being diluted and politicised with the army being dragged into numerous political debates. The existing weakness in civil-military relations in India will be further exacerbated with the new security structure, and this will have an adverse impact on strategic planning, writes Lt Gen DS Hooda. Her fate was, perhaps, sealed the minute Avni, the tigress killed in Maharashtra last week was declared a man-eater. But the question looms: with conflict spiking and a forest department with their hands tied – will this be the fate of other tigers in the state?